If you're heading down the shore this weekend – especially on the only day when the weather will be suitable enough to do so – listen up. 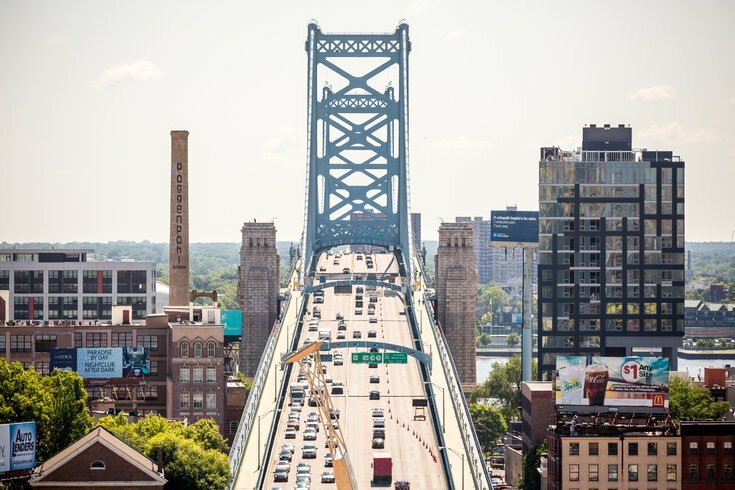 The Benjamin Franklin Bridge is set to close to all vehicular traffic traveling in both directions from 6:30 a.m. until 8 a.m. Sunday, according to a news update from the Delaware River Port Authority this week. The bridge will briefly shut down due to the Irish Pub Tour de Shore, an annual 65-mile charity bike ride starting up at The Irish Pub on 20th and Walnut streets in Philadelphia and finishing up at the "original" Irish Pub in Atlantic City. About 2,300 riders are expected to participate this year. The bike ride, now in its 30th year, benefits children in need and families of fallen police officers and firefighters in Philadelphia and South Jersey. The bike ride has raised more than $6 million for the cause throughout its history, according to its website. The DRPA urges travelers to seek alternate routes, including the Walt Whitman and Betsy Ross bridges and PATCO.